Winter here in Missouri has been extremely mild this year. Heck, we are seeing mosquitoes already. Crazy! 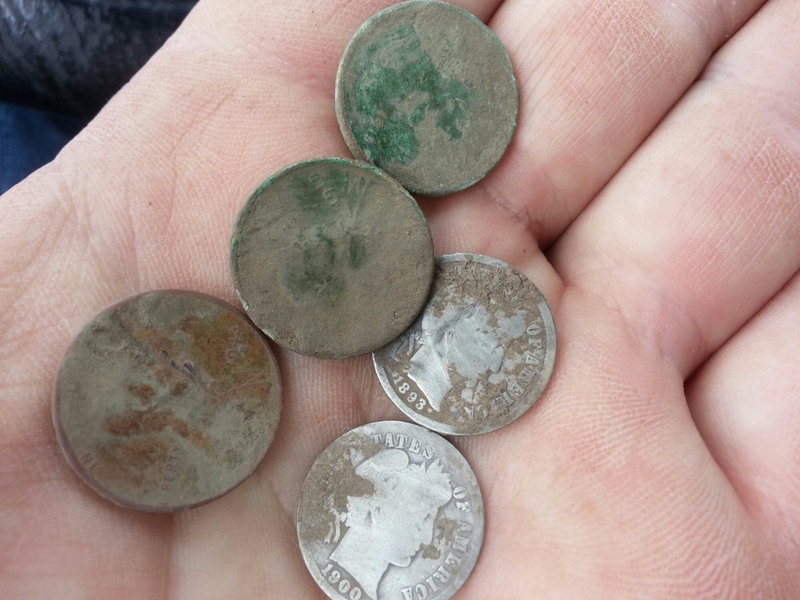 Of course I’ve been taking advantage of the weather and finding silver. I managed to find my first silver quarter of the year and several more Mercury dimes. All my silver but the rosie has came from hunting the woods in an old park. I hit another very old park and managed to hit a silver broach, but no silver coins. While I’m at 8 silver coins, my brother is leading the pack with 10 silver coins this year. Not too bad this early in the game. While I mostly hunt in auto +3, I’ve decided to make a point to hunt in manual more this year. There are many on the net who claim by hunting in manual a little extra depth and clarity can be gained. My attempts last year only provided me with an unstable etrac. So I will figure out a way to do it if it is possible. I’ll let you know how it goes. Where are the silver quarters? The last few days has produced a silver rosie, several wheats and a lot of modern coins. So far my brother is the only one who has found a silver quarter this year, a squeaker 1964 . Last year I found 3 and my brother found 1 also. So are silver quarters deeper, already found years ago since they are larger and easier to find? I’m willing to listen to alternate thoughts on this. The silver dime was found at an old school, they just keep producing! If you want silver, your going to have to dig a lot of holes. One day I would like to do the ratio of holes dug per silver finds. I did find a silver ring, my first with the etrac, It didn’t ring up like a normal silver coin as I’ve heard, but more like 01-46, 9-46 etc. Its good to see my modern coin totals climb, I would like to crush my last year totals.